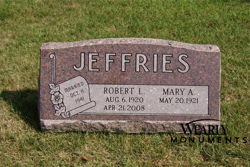 Paradiso granite slant marker on base with simple latin cross carving. 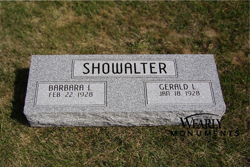 Paradiso granite slant marker on base with rose carving. 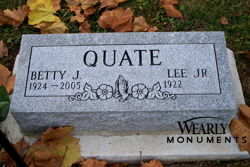 Georgia Gray granite slant marker with dogwood and cross carving. 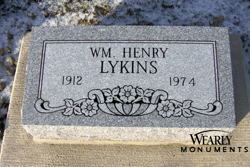 Mountain Rose granite flat marker. 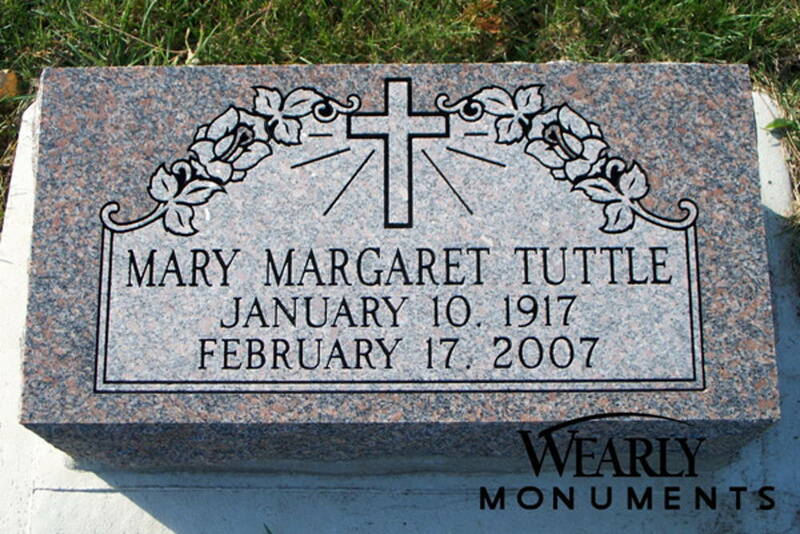 Dakota Mahogany granite slant marker “Western Style” with full face, polished 3 with rounds. 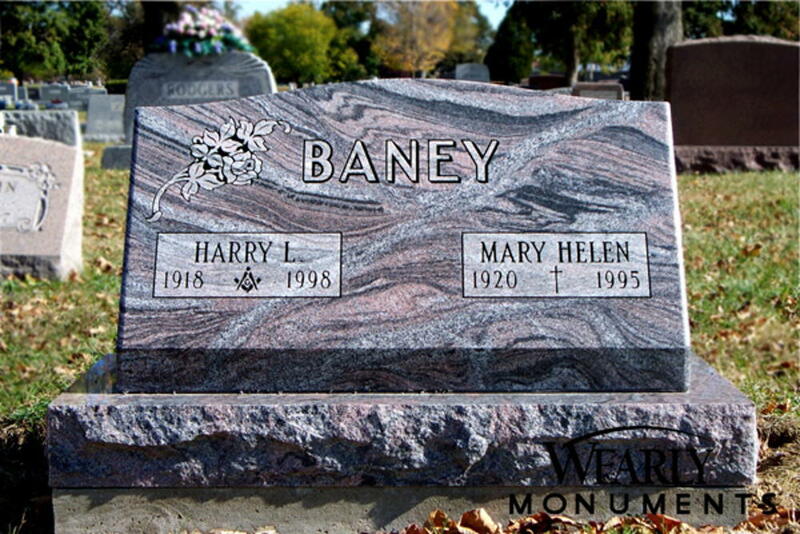 Dakota Mahogany granite serpentine top slant marker with deep cut lettering and carving. 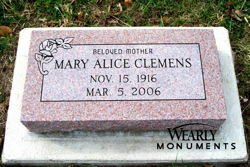 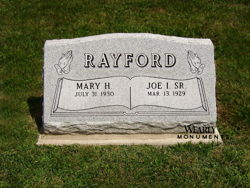 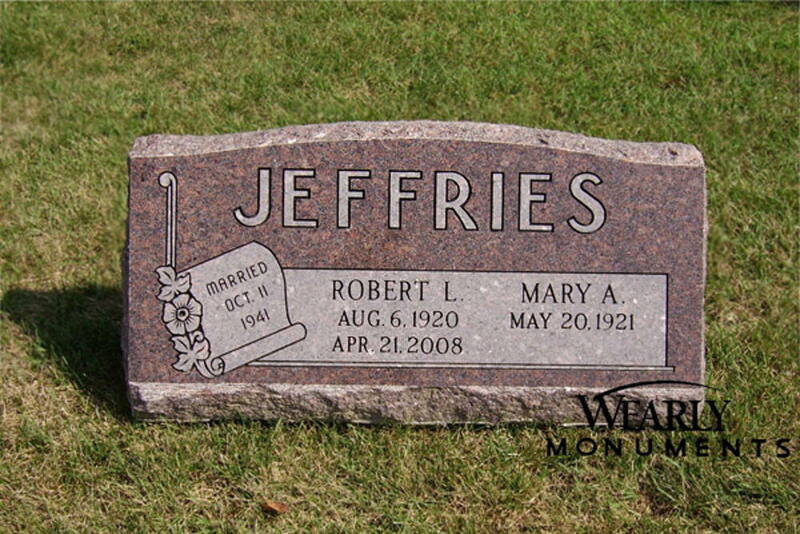 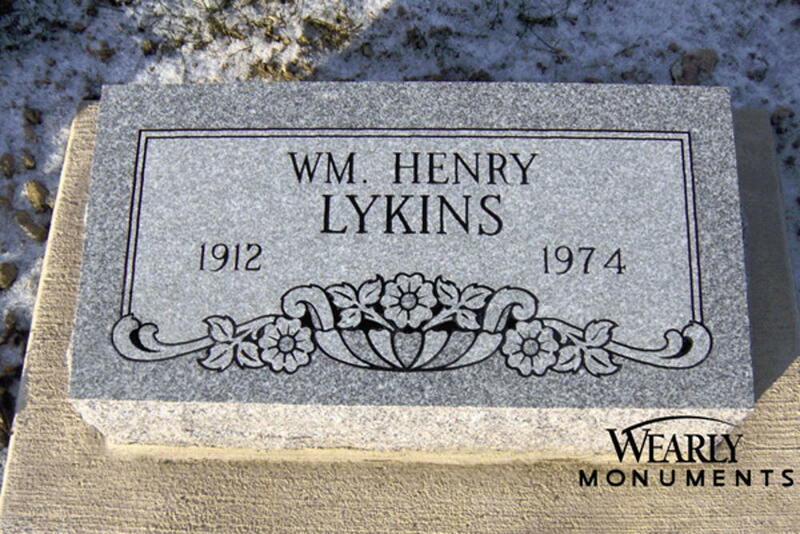 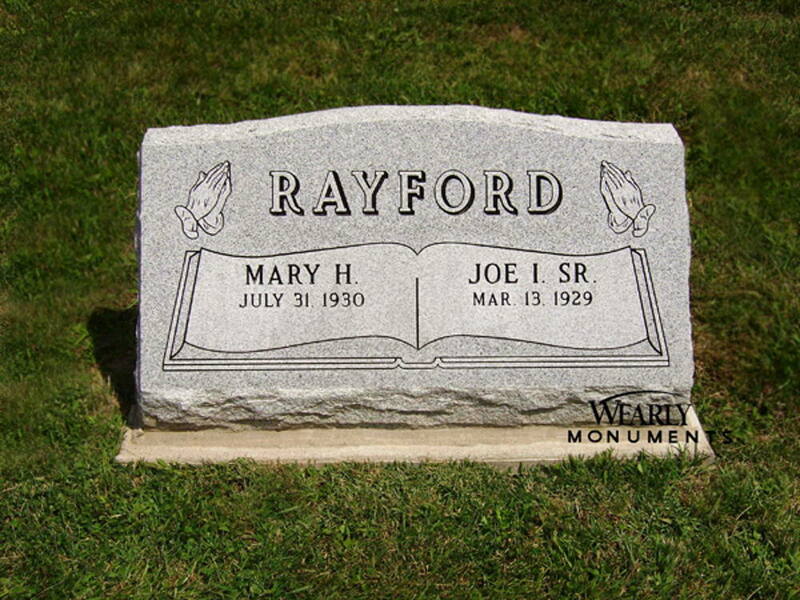 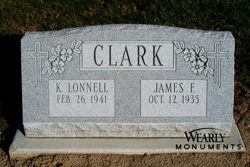 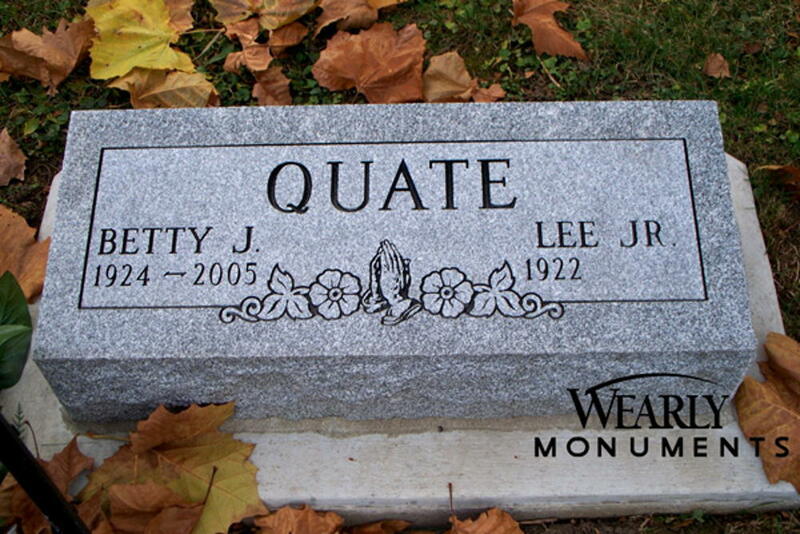 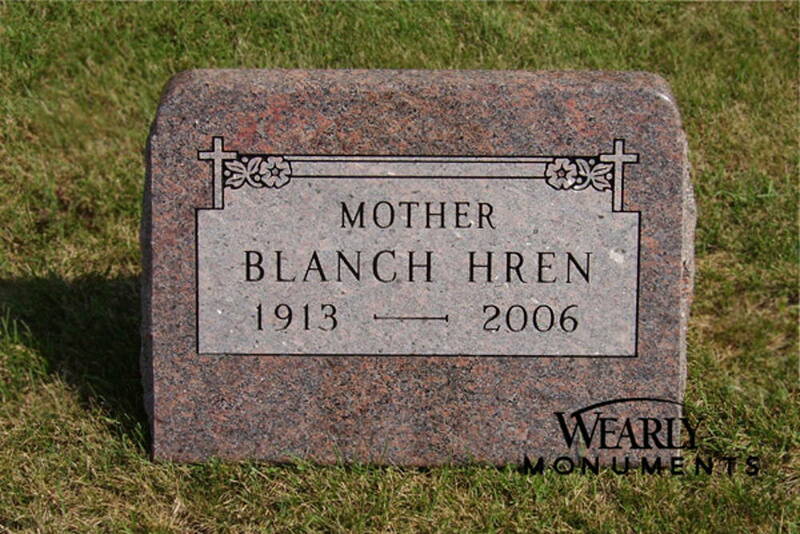 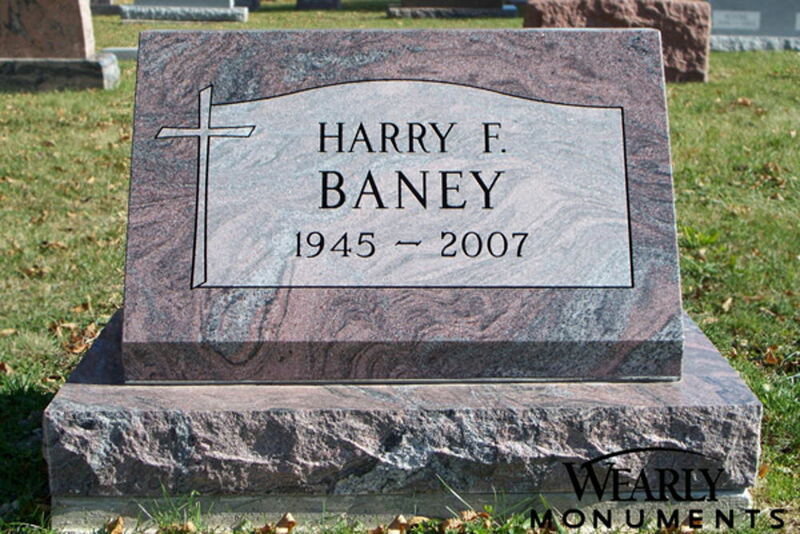 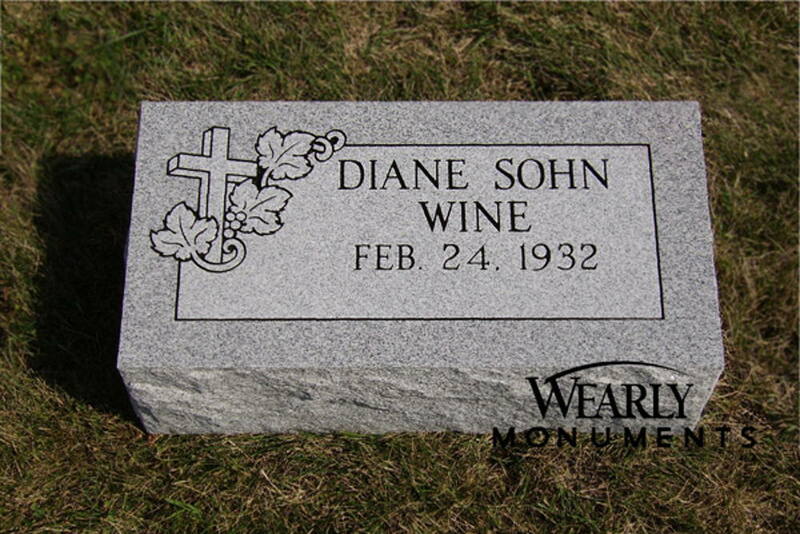 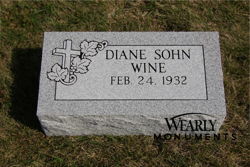 Vermont Gray granite flat marker with deep cut lettering and carving. 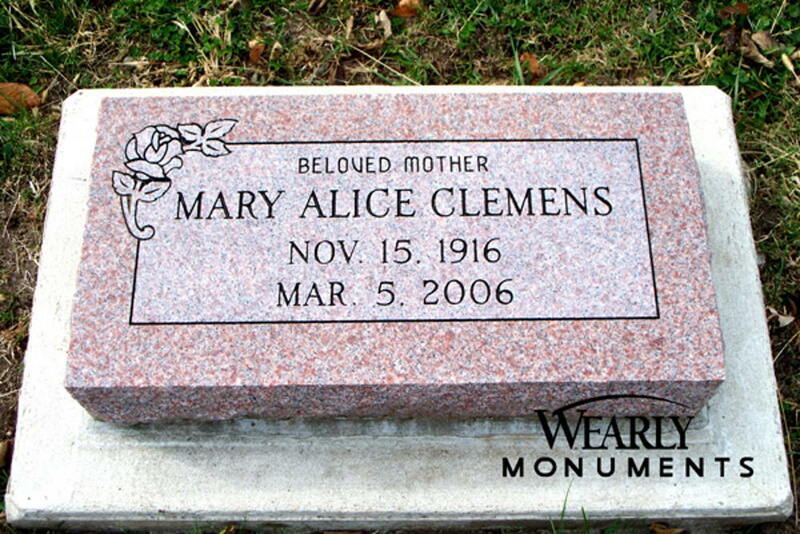 Vermont Gray flat marker with deep cut lettering and carving. Georgia Gray granite serpentine top slant marker with deep cut lettering and carving. Vermont Gray double bevel marker with deep cut lettering. 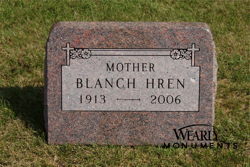 Vermont Gray flat marker. 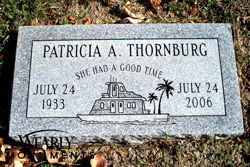 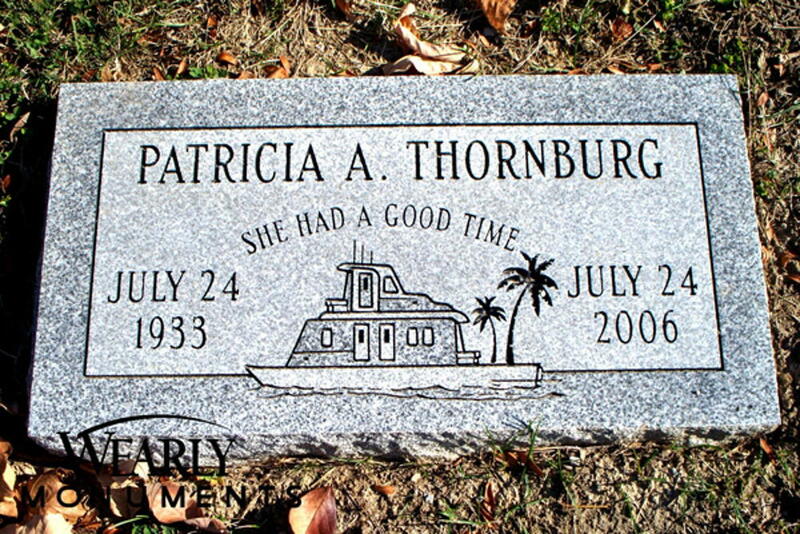 The Thornburg marker is a great example of what an epitaph can do for a memorial. 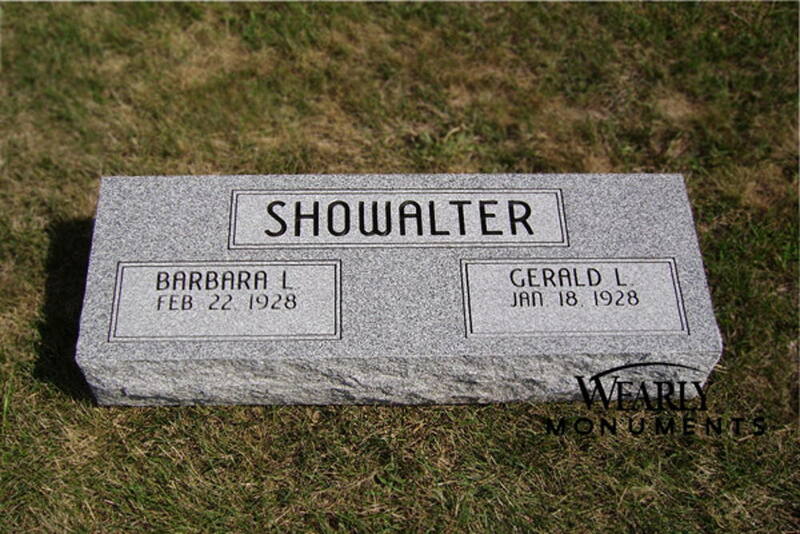 A person would not need to know the deceased to smile at the sight of this sweet little marker. 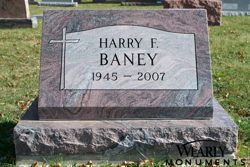 Dakota Mahogany bevel marker with deep cut lettering and carving. 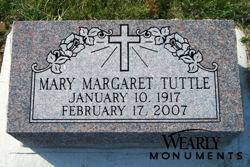 Georgia Gray granite bevel marker with deep cut lettering and carving.